The history of concrete goes far back into the beginnings of Western civilization. It’s not something we think about often —as we pass building after building in our cities and communities— but concrete and steel are important components of the structures we encounter on a daily basis. Steel Specialties specializes in all things steel and understands the power and utility of steel structuring and how the technique can expand the life of any concrete structure. The Romans cement mix about 2,000 years ago consisted of limestone and volcanic ash. Ironically enough, the volcanic ash, the secret ingredient to the Romans powerful concrete was from the same source — Mount Vesuvius— that would destroy and incinerate many Romans at Pompeii. The Coliseum is largely composed of this type of concrete. The Pantheon, a structure built for the Gods, is another example of the sturdiness of Roman concrete. After the Empire collapsed it would be a few hundred years before concrete would be rediscovered and returned to the Western world as a favorite building material. Sometime around the 1800, the idea of reinforcing concrete began to emerge in the construction industry in France. Since then, reinforcing bar —or rebar—has been used as a way to strengthen structures that might have otherwise been compromised. While it is generally a strong building material, concrete can have its weaknesses. For example, a concrete beam that is supported at two ends but not at the middle, that exposed area can be subject to added tension and suffer damage.The advent of steel restructuring allowed builders to get rid of limitations on height and weight, as the steel and concrete could withstand more stress. There are several benefits why people today use rebar to reinforce concrete in a variety of building projects. Most large scale construction projects in today’s industrialized nations use this technique of construction. Easy Setting: Rebar is relatively convenient to set into place before pouring the concrete. Provides Strength: The defining reason for constructors utilizing rebar is that it provides added strength to the concrete. The ridges in the bar help it better cement to the concrete, creating a tightly bound partnership. Less Corrosion: When it comes to difficult environments that are continually exposed to harsh elements —such as concrete near the ocean—the steel will help against corrosion. Reduces Cracking or Breaking: Concrete can have some brittle properties and reinforcing it with steel can mark the difference in how long the structure lasts. 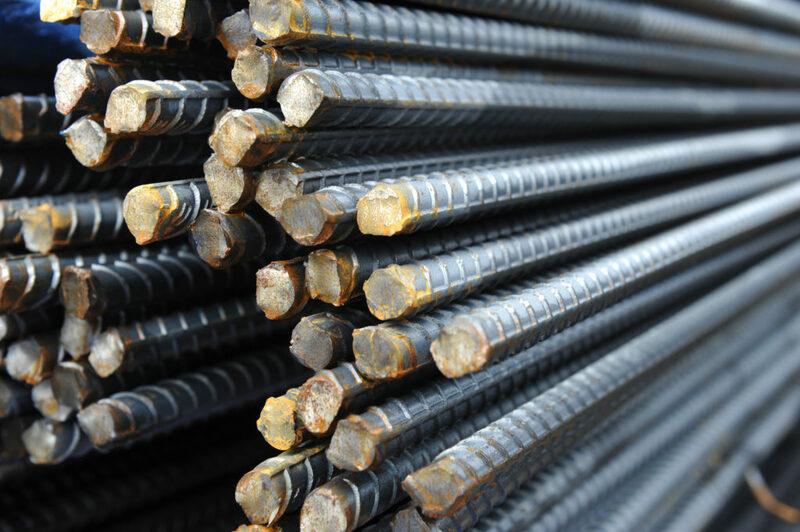 When it comes to heavier weight bearing, steel restructuring and rebar is a great way to provide needed support for the structure. Builders and constructors understand the importance of longevity in their buildings. This is why steel restructuring is an important part of the construction industry. Steel Specialties can help your buildings last longer by providing quality steel rebar for your construction needs. « Does Going With the Lowest Bid for a Steel Project Guarantee the Best Value?